After the disappointment of the T20I series, Virat Kohli will be eager to reverse the tale in India’s strong-point ODIs and will try to show why they are considered as the favourites for the World Cup. Jasprit Bumrah’s ODI return will excite the team, but Rohit Sharma will remain in the spotlight. Rohit Sharma: A batsman of enormous ability, Rohit Sharma can never be counted off by the opposition even if he is not in right frame of mind. He has lost his form temporarily, but the return to the home venue may help him find that lost mojo back. In Hyderabad, the wicket is very much helpful for the batsmen and the Indian vice-captain may lick his lips from now. Shikhar Dhawan: He is one of the most fluent batsmen in the world, but his batting performance in the Bengaluru T20I was anything but that. He struggled to get going and despite the bowlers suffering the wrath of the heavy dew, the Delhi southpaw couldn’t exploit that at all. Hyderabad will give him an opportunity to comeback all guns blazing. Virat Kohli: The Indian skipper looked in supreme touch in the Bengaluru T20I, but there is something with the ODIs that Kohli loves. He is the format’s one of the best, if not the best, batsmen of all-time and there has hardly been a match at home where he was a total failure. He will act as a bridge between the solid top-order and a brittle middle-order. KL Rahul: While Rahul is touted as a back-up opener for the World Cup, his chances depend upon how he performs in the Australia ODI series. 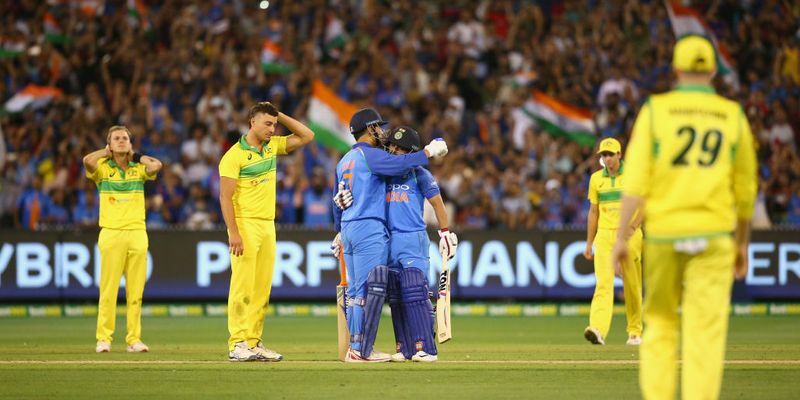 That meant, India may rest Ambati Rayudu to open up a spot for the Karnataka batsman before taking a call for the World Cup and that means Rishabh Pant will have to sit out. MS Dhoni: Reports surfaced that the Indian wicket-keeper has sustained a minor injury to his forearm, but in all likelihood, he will play tomorrow as the injury is not that severe. Dhoni has shown signs of coming back to form in the last few series, and India will hope that the former skipper keeps on doing the good work in the future matches as well. Kedar Jadhav: The Maharashtra all-rounder’s importance as a holding bowler and a partnership-breaker can never be understated, and that ability has given him a firm-footing in India’s line-up. His effortless batting lower-down the order is a constant to give MS Dhoni a strong partner at the other end, more often than not. Vijay Shankar: After Hardik Pandya was ruled out of the series, the Tamil Nadu all-rounder now has a chance to build on his New Zealand performance and give a solid account of himself for the World Cup. Shankar hit a solid 45 in Hamilton after the team suffered a huge collapse and if he can play such innings in this series, don’t rule out the chances of being in the final XI for the World Cup games. Kuldeep Yadav: After being rested for the T20 series, Kuldeep Yadav is back in the ODI squad, much stronger and ready to take on the Aussies once again. The left-arm wrist-spinner had the happy memories of taking one Aussie down after another in the 2017 series and will try to do an encore of it tomorrow. Yuzvendra Chahal: The leg-spinner performs the best when he bowls in tandem with Kuldeep and the fact that both are likely to play tomorrow, Australia may do well to save themselves from the threat. His bowling was affected by the heavy dew in Bengaluru, but in hot Hyderabad conditions, he can be a threat in his own right. Jasprit Bumrah: It is not about how anymore, it has been wow now. Jasprit Bumrah has sealed his position as the world’s best bowler by a distance thanks to his amazing control over the game which is terrific, to say the least. His 19th over in Vizag was one for the coaching coach for how to bowl in the death overs and how Australia will find a way to tackle will be very interesting to observe. Mohammed Shami: That India decided to rest Bhuvneshwar Kumar for the ODIs, Mohammed Shami will get another go-in and although he has already sealed the spot as India’s third seamer, the home series will be crucial for him to be ahead of Kumar in the pecking order. His man of the series performance in New Zealand was one of the reasons of India’s happy headache and the team management won’t mind if he continues giving them more of that.